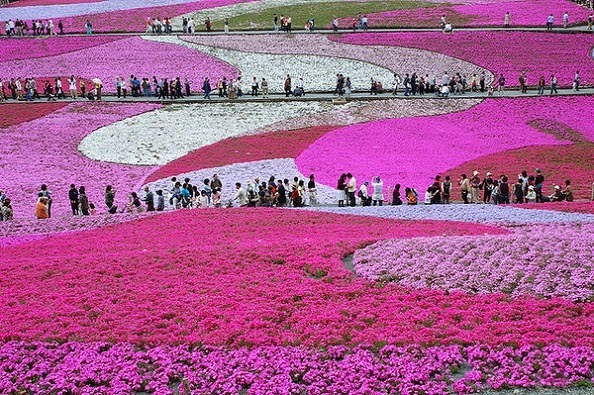 he Fuji Shibazakura Festival is the world’s premier destination for seeing intricate fields of pink moss flowers blooming together in the way that only 12-year old girls can dream. The festival takes place near the scenic Fuji Five Lakes area, which sees more than 9 million visitors pass through annually. And if the sight of over 800,000 pink flowers entering their period of greatest beauty, freshness, and vigor doesn’t captivate you, the fields also offer an exquisite view of Mount Fuji on clear days.